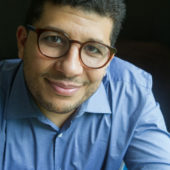 FunctionSamy Ayoub, Ph.D. from University of Arizona, USA. Assistant Professor of Law and Middle Eastern Studies at University of Texas at Austin, USA. How did premoderm Islamic legal discourses deal with the issue of rebellion under Ottoman rule and sovereignty? This project explores how Muslim jurists theorized legitimate governance and the contours of political dissent. In particular, I focus on legal treatises that have been written to address key political upheavals in Ottoman history. This book investigates how Hanafi jurists responded to armed rebellion against Ottoman political authority. I examine two understudied legal treatises that have been written about the sack of Mecca by armed rebel groups in 1632. This project brings together insights from Ottoman and Islamic legal history to underline the process by which legitimate political grievances, rebellion, and banditry were used and deployed for different groups and labeled different political actions. The Sultan Says: State Authority in Late Hanafi Tradition.” Islamic Law and Society 23 (2016): 239-278. The Mecelle: Shari’a and Ottoman State: Fashioning and Re-fashioning of Islamic Law in the 19th – 20th century.” The Journal of Ottoman and Turkish Studies Association 2:1 (2015):121-146.